Featuring the latest in Wireless-AC, the AC2600 Dual Band 4x4 MU-MIMO Router (EA8500) delivers four data streams--instead of the traditional two or three--to all your devices for a seamless entertainment experience. Take your gaming and streaming to the next level with the AC2600 Dual Band Gigabit Wi-Fi Router. 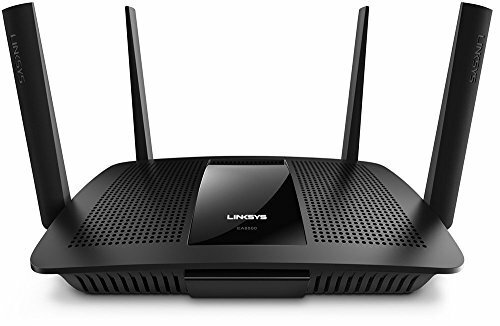 The AC2600 is equipped with a 1.4 GHz dual-core CPU and features MU-MIMO technology, so it can handle heavy-bandwidth activities and heavy network traffic at a combined speed of up to 2.53 Gbps, making it the ultimate in fast Wi-Fi technology.